In the Bay Area, warm weather generally shows up rather early in the year as a tease, only to disappear into a gray and rainy Spring. 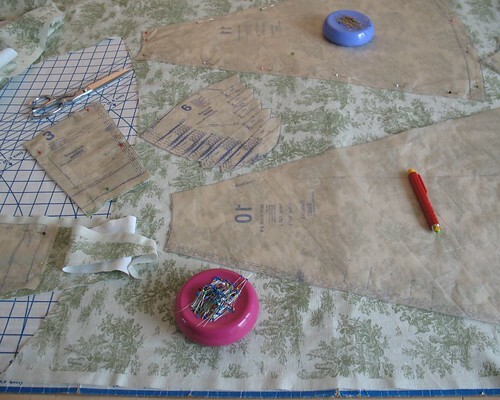 As soon as the sunshine appears, I love to begin cutting into pastels and sewing up sun dresses, even though it might be February and I know that the cold and rain is bound to show up once again. This year, however, I keep choosing projects with a decidedly Fall color palette. I cannot say why, but it keeps happening. And once again, that wool sheath and matching coat project that I have been meaning to tackle for YEARS is going to have to wait for the seasons to change. The fabric, lining, zipper, and everything else needed is in the sewing room, but somehow, the darn thing never gets started. Still, I cannot make myself work on yet another cold weather dress. So I have finally turned the corner. This upholstery fabric was originally intended as a slip cover for a chair. Well, that project never happened, although I have used some of the yardage as small home décor and craft projects, here and there. What remained sat in the corner, on its roll. At some point, I came across this image of Dita von Teese, and immediately knew that a dress was going to be the perfect thing to use up some of that upholstery fabric. Dita's dress is more 18th century with the flat front corseted look and pannier silhouette (which may or may not have been a part of the original design when I look at that hemline) than Gertie’s new shelf bust dress pattern with its 1950s style, but I love it! That being said, if anyone has an old Vivienne Westwood design just laying around and in need of a new home, please feel free to send it on over! 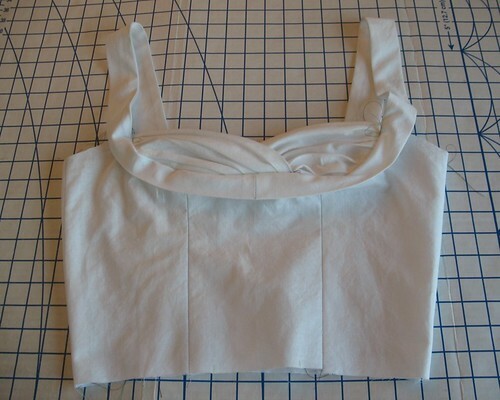 My first thought was to use some contrasting cotton for the pleated bust inserts and another print for the straps. 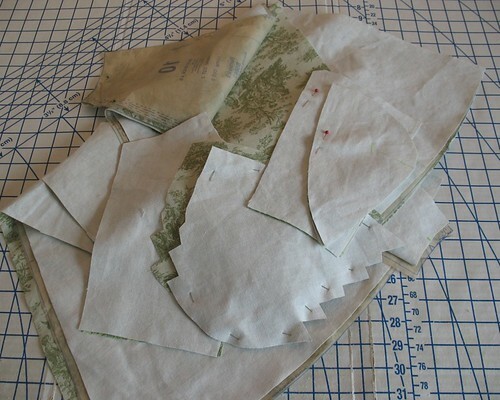 Goodness knows I have enough quilting cotton remnants that would have worked beautifully. But on second thought, the additional prints made me think of a quilt (gee, I wonder why . . .) - which is lovely, but not the look I am going for. Turns out, I just scraped by with the yardage. I guess it was meant to be! 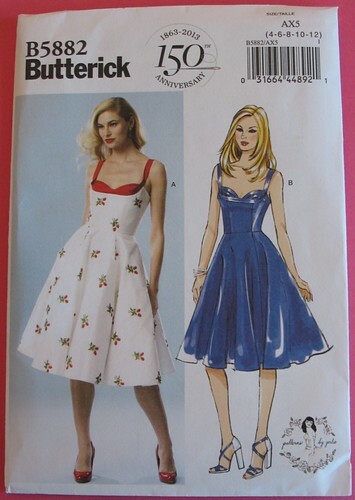 And while the design does not lend itself to pattern matching, those large skirt pieces made any attempt futile. One less thing to worry about, right?! 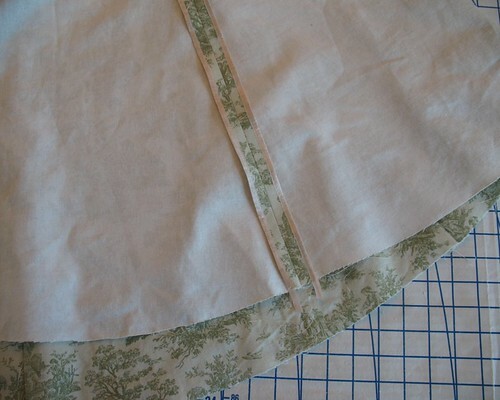 But as I am putting the dress together, I quite like how the mismatched toile motifs look. We shall see how it all turns out . . . I have been looking at that pattern just recently. It is adorable. Not for me unfortunately, just a little long in the tooth for anything like that now. Can't wait to see your version finished though. The fabric is super! This looks exciting!! Can't wait to see it put together. After seeing Dita, have you considered a black rinse come the warmer weather? This should be smashing. I love your toile choice! 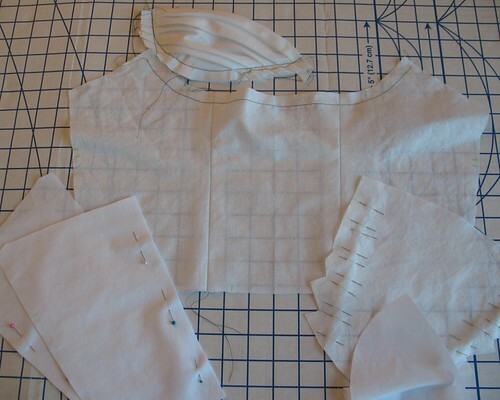 I look forward to seeing how this dress turns out. It is a lovely pattern. Looking forward to seeing it because I LOVE toile! I think the whole world should be draped in it. What a fabulous pattern! And I adore the fabric! I'm glad it's ending up as a dress and not as a chair! ;) Can't wait to see it done! I have almost the exact shade of green toile fabric and it's been sitting in my closet for a year waiting to be turned into Dita's toile sundress, haha! I can't wait to see how yours turns out--maybe I'll finally be inspired enough to start mine! omg can't wait to see it! 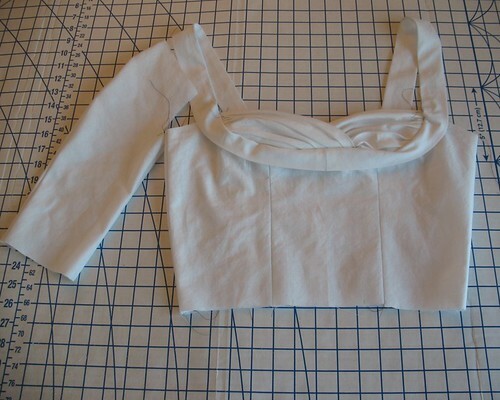 I've recently made garment from home dec fabrics - just watch the wrinkles and the fraying. Love your fabric choice though, the green is so fresh. 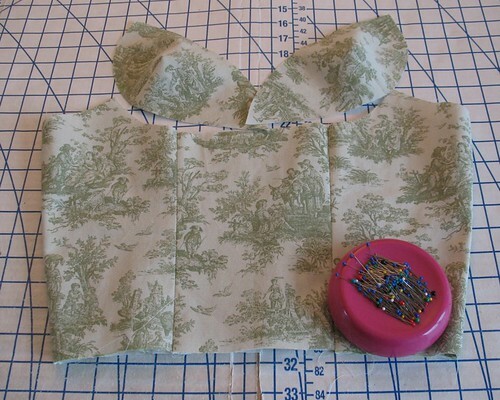 Be sure and check out Gertie's blog re: this pattern. Turns out the pattern company did something different with the band around the bust. You might like Gertie's version a bit better. It's a simple change. 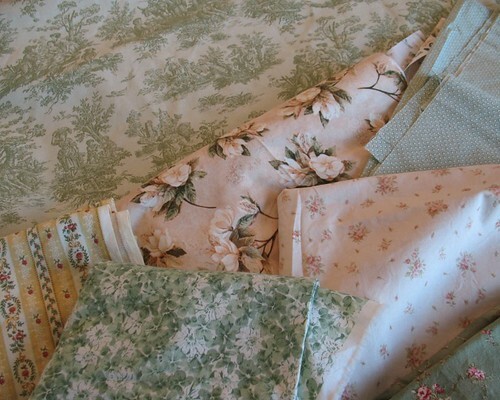 What a timelessly beautiful toile fabric. I've always been a fan of this classic, ever-so-slightly whimsical pattern, too (a wee little toile teddy bear that I bought eons ago back in my teen years keeps me company downstairs in my craft room).